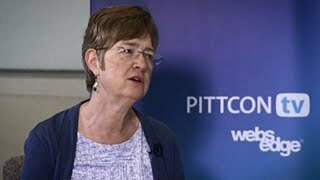 Interview with Karen Faulds from the University of Strathclyde - Pittcon 2018 At the 2018 Pittcon Annual Meeting in Orlando, FL, Pittcon TV is joined in the studio by Vicki Wysocki, a Professor from the Ohio State University Department of Chemistry and Biochemistry, to talk to us about a new technique developed in her lab for ion mobility disassociation and high-resolution mas spectrometry. 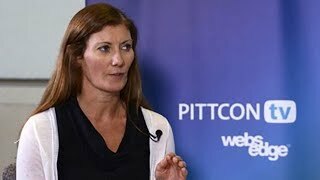 Interview with Karen Faulds from the University of Strathclyde - Pittcon 2018 At the 2018 Pittcon Annual Meeting in Orlando, FL, Pittcon TV is joined in the studio by Karen Faulds, a Professor from the University of Strathclyde in Glasgow, to talk to us about multiplexed Quantitative bioanalysis using surface enhanced Raman scattering (SERS). 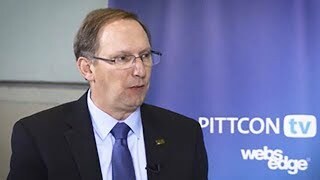 Interview with Igor Lednev from University of Albany - Pittcon 2018 At the 2018 Pittcon Annual Meeting in Orlando, FL, Pittcon TV is joined in the studio by Igor Lednev, Professor of Chemistry at the University of Albany. He tells us all about vibrational spectroscopy and advanced statistics for detection and characterization of gunshot residue, as well as the impact this will have on forensics chemistry. 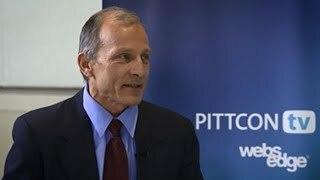 Healthcare in the 21st Century - Pittcon 2018 At the 2018 Pittcon Annual Meeting in Orlando, FL, Pittcon TV attends the Walter H. Coulter Lecture, where speaker, Jeremy Nicholson, tells us all about the state of healthcare for the 21st Century. 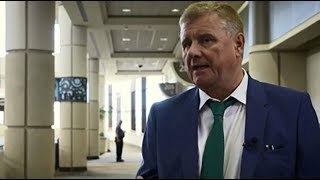 2018 Pittcon President, Adrian Michael At the 2018 Annual Pittcon Meeting in Orlando, Florida, Pittcon TV sits down in the studio with the 2018 Pittcon President, Adrian Michael. He talks all about what to expect at this year’s meeting and what he hopes to see in the future for laboratory sciences. What brings you to Pittcon 2018? 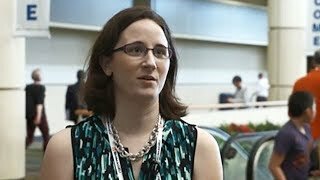 At the 2018 Annual Pittcon Meeting in Orlando, Florida, Pittcon TV hits the conference floor to hear from attendees, what brings them to the meeting. National Institute of Standards and Technology - Chemical Sciences Division National Institute of Standards and Technology - Chemical Sciences Division. Creating Reliable Measurement Standards. NIST serves a key role in the US Measurement System (USMS) by providing its stakeholders with measurement methods and tools to anchor the USMS to the International System of Units (SI). This part of the NIST Mission is unique to NIST and the other national metrology institutes around the world. The NIST Chemical Sciences Division (CSD) fulfils this function in chemical measurement science by developing reference materials and unbiased measurements methods, administering quality assurance programs, advancing research, and other means. Another unique aspect of NIST is that heavy emphasis is placed on accuracy and meaningful estimates of uncertainty, necessitating advanced analytical apparatuses, techniques, and statistical methods. This perspective is in deep contrast to much of the analytical chemistry world, where the goals are simplicity and high sample throughput. Unique Hands-On Research Center of Excellence in Mass Spectrometry, Duquesne University’s Bayer School of Natural and Environmental Sciences. 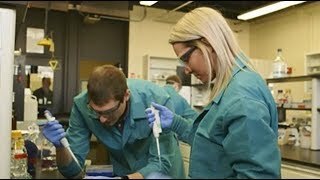 By providing unique, hands-on research opportunities such as our featured Center of Excellence in Mass Spectrometry, Duquesne University’s Bayer School of Natural and Environmental Sciences offers students a comprehensive, individualized educational experience through participation in nationally funded research and community service projects. Cambridge University - Department of Chemical Engineering and Biotechnology Cambridge University - Department of Chemical Engineering and Biotechnology: Doing Great Science and Contributing to Society. The mission of the University of Cambridge is to contribute to society through the pursuit of education, learning and research at the highest international levels of excellence. The Department of Chemical Engineering and Biotechnology (CEB) is a fertile ground for scientific innovation built on fundamental world leading research in the fields of materials, sensors, process and reaction engineering and big data. Research is based on the notion that by understanding scientific principles, innovative solutions can be developed in the fields of health and energy. These scientific advances will have real societal, environmental and economic impact. With a state of the art new building, the Department is an environment which fosters interdisciplinarity in fields from materials to big data, from molecules to whole systems. 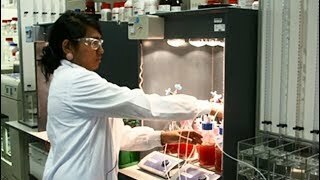 Chemical engineering and biotechnology play a vital role in core aspects of society and can provide solutions for some of the most pressing problems in health and energy, to fit all economies and environments. From PhD students to Professors, researchers are encouraged to engage with industry and policy-makers all over the world to take basic science and turn it into useful, practical products. 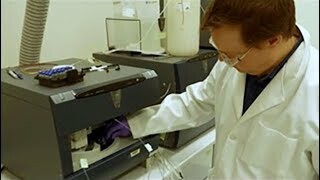 Oak Ridge National Laboratory Applications of Analytical Chemistry for Detailed Characterizations of Nuclear Matrices for Fuels Cycle R&D and Nuclear Security. 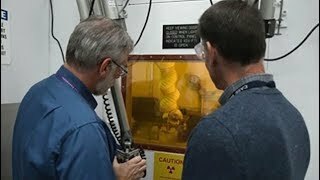 The Nuclear Analytical Chemistry and Isotopics Laboratories group is a specialized nuclear analytical organization within Chemical Sciences Division at Oak Ridge National Laboratory. The group’s expertise is in the development and advancement of cutting edge measurement methodologies for elemental and isotopic characterizations in environmental and nuclear matrices. The group performs high precision elemental and isotopic determinations mainly using mass spectrometry and high level radiochemical counting techniques. The group is an expert in the analytical chemistry of the lanthanide and actinide elements as well as the preparation and separation chemistries required for analytical characterizations in a wide variety of nuclear sample matrices. The group’s unique laboratory capabilities allow for the handling of samples containing curie levels of radioactivity down to preparations requiring cleanroom labs for ultra-trace determinations. The group provides leadership for DOE, DHS, and DOD sponsoring agencies’ analytical characterization requirements and works closely with those organizations to advance future technologies and analytical methods to support nuclear fuels cycle R&D, non-proliferation and safeguards of controlled nuclear materials, and production of heavy isotopes for commercial, research, medical and space applications.